Take it back to the basics with a classic and creamy milk chocolate color. For something more wild, try adding in lowlights of dark chocolate brown for hair that is stunning in all dimensions. Really get in touch with your Autumn side. Vibrant burgundy will look stunning in the contrast of all the vibrant fall colors. Try a unique dusty rose gold color to harness the inspiration of change during the Autumn months. Try pairing this dusty rose gold color with lowlights of a deep burgundy for hair that glows. Get in touch with your vintage side and try a classic champagne red. Fall is all about the oranges, reds, and yellows. A champagne red color will transcend through this season of luminescent colors and changes. These stunning colors are sure to have you turning heads all through the Autumn months. Our color formulas are digitally weighed for accuracy. Instead of just using the traditional liquid measurements like most salons, we weigh our hair color for outstanding results. Liquid measurements can vary, which is why we weigh with accuracy to within 1/10 of a gram to ensure consistent, professional hair color results. Our professional stylists really know how to work a masterpiece on your hair. 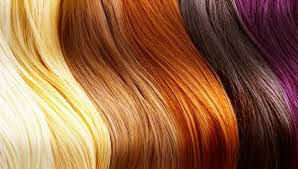 That’s why we provide such precise and accurate color formulas. We want the best for our clients. If you are in the Ohio area, please stop by one of our locations. We are located in Strongsville, Parma, and Broadview Heights. Call today and get ready to experience a truly unique salon journey with Illusion Unlimited Salon.